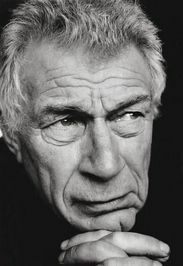 John Peter Berger was an English art critic, novelist, painter and author. His novel G. won the 1972 Booker Prize, and his essay on art criticism Ways of Seeing, written as an accompaniment to a BBC series, is often used as a college text. Another of his most remarkable works has been the trilogy titled Into Their Labours, that includes the books Pig Earth (1979), Once In Europa (1983) Lilac And Flag (1990). With those books, Berger makes a meditation about the way of the peasant, that changes one poverty for another in the city. This theme is also observed in his novel King, but there he focuses more in the rural diaspora and the bitter side of the urban way of life.